Indonesia has declared a state of emergency around a port on Borneo island, officials said on Tuesday, after a large oil spill and fire killed four people at the weekend. 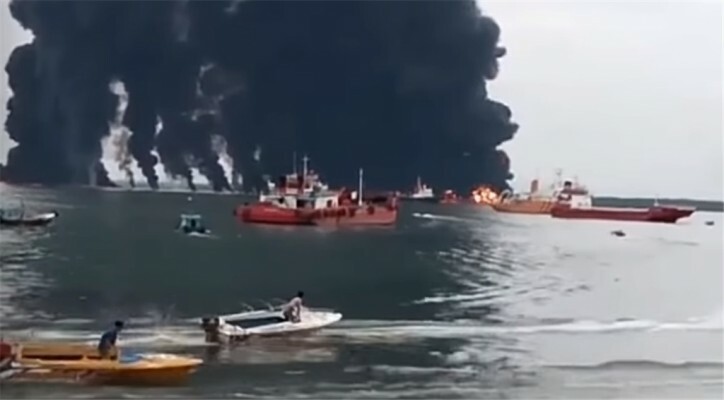 Disaster mitigation officials were able to control the blaze in the port city of Balikpapan but were still working to contain the spill, which started on Saturday and spread over an area of around 12 square km (4.5 square miles). “We have warned the public not to carry out activities that could spark fires,” Suryanto, head of the city’s environmental agency, said. Balikpapan, in East Kalimantan, is a major mining and energy hub and home to one of the few oil refineries in the country, run by state energy firm Pertamina. The state-owned company said it was investigating where the oil had originated and that its own underwater pipeline in the area did not have any leaks. Pertamina said there had been no disruptions to operations. “At this time, our team is prioritizing management (of the incident),” said Arya Dwi Paramita, external communications manager at Pertamina.